Personnel changes at Grace Brethren churches and ministries are now reported weekly in GraceConnect eNews. Here are items that were reported in August. To subscribe to the eNews, click here. To report personnel changes at your church or ministry, email information (along with a photograph) to Liz Cutler Gates, lcgates@bmhbooks.com, editor of GraceConnect eNews. Jay and Jan Bell, Winona Lake, Ind. Jay Bell has joined the staff of the Winona Lake (Ind.) Grace Brethren Church (WLGBC) (Bruce Barlow, lead pastor) as the pastor of mobilization. Previously he served in a volunteer role as missions and evangelism pastor while serving full-time as director of Internationals-USA with Encompass World Partners (formerly Grace Brethren International) Missions. 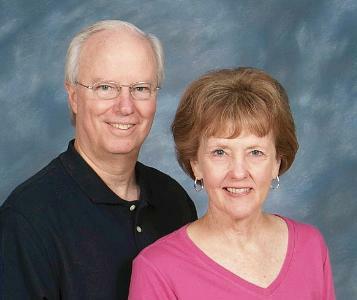 He is pictured at right with his wife, Jan, who frequently serves with him. At Grace College and Seminary, Paul Blair has joined the staff as the vice president of Financial Affairs (CFO). Blair will assume a strategic role in the planning, implementing, and managing of the institution’s financial related activities. Blair is a respected financial leader in the Warsaw/Winona Lake (Ind.) area. With more than two decades of Fortune 500 company experience, he has expertise in investor relations, strategic planning, business development, and financial reporting. 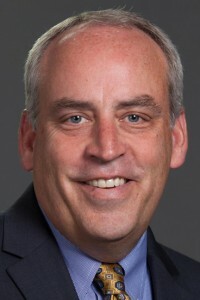 In the past, he has served as vice president of investor relations at Zimmer Holdings, vice president of strategic planning and development at Owens & Minor (Richmond, Va.), and director of investor relations at Bindley Western Industries. William (Bill) Eisenmann has been hired as a senior member of the financial staff and will assist with Blair’s transition into the CFO position. Eisenmann is a retired senior partner with BKD LLP (Fort Wayne) and was Grace’s senior auditor for many years. 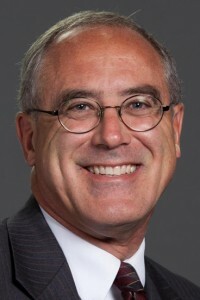 He was also revenue accounting manager at Anthony Wayne Services and vice president and chief financial officer at Physicians Health Plan of Northern Indiana, Inc.
Todd and Debbie McQueen, Sebring, Fla.
Todd McQueen has joined the staff of Grace Church, a Grace Brethren congregation in Sebring, Fla., where he will serve as Assistant to the Pastor. 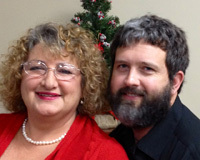 According to Pastor Randy Smith, “in the coming year, Todd will be in Great Commission Bible Institute classes, and participating in a home grown leadership development and equipping program put together by Pastor Matt Wheelock.” Todd and his wife, Deb (in photo), have relocated to Sebring from Winona Lake, Ind., where he was a student at Grace Theological Seminary. Dan Costentino has been named youth pastor at Grace Community Church, Goshen, Ind. (Jim Brown, pastor). Rich Yauger, who has served as youth pastor at the church since 2002 is transitioning to the role of Connections, Care, and Discipleship Pastor at the church. Paul Barna has joined the staff of Lehigh Valley Grace Brethren Church, Bethlehem, Pa. (Larry Humberd, pastor) as associate pastor/youth pastor. To report personnel changes at your church or ministry, email information (along with a photograph) to Liz Cutler Gates, lcgates@bmhbooks.com, editor of GraceConnect eNews.